Tanzanian Cement company Tanga Cement reached an historic sale milestone with its sales for the year ending 2012 exceeding one million tonnes and achieving a net profit increase of 52 %. This is the highest recorded sale for the Tanzanian cement producer and befits the country’s increasingly fast-paced economy together with Tanzania’s rising trade with foreign markets and the company’s price competitive supply. 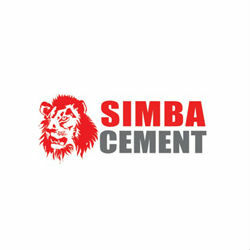 Tanga’s Simba Cement brand sales rose to 158.8 million USD with an increase of 55% in exports and 52% increase in pretax profit from TZS37.08 billion TZS to 55.93 billion TZS. The construction project of a second clinker line on the plant site that will eliminate the need for imports and double the current production capacity has been approved by Tanga Board of Directors and is scheduled for completion in 2015. “This additional capacity is expected to satisfy the consistently high demand for cement from both the local and export markets” Prof Wangwe said. Tanga Cement Company has a long and well-established history in Tanzania since the 1970s and has been a part of the Tanzanian economy through various milestones.